What's my favorite color? Iridescent! (And pink.) 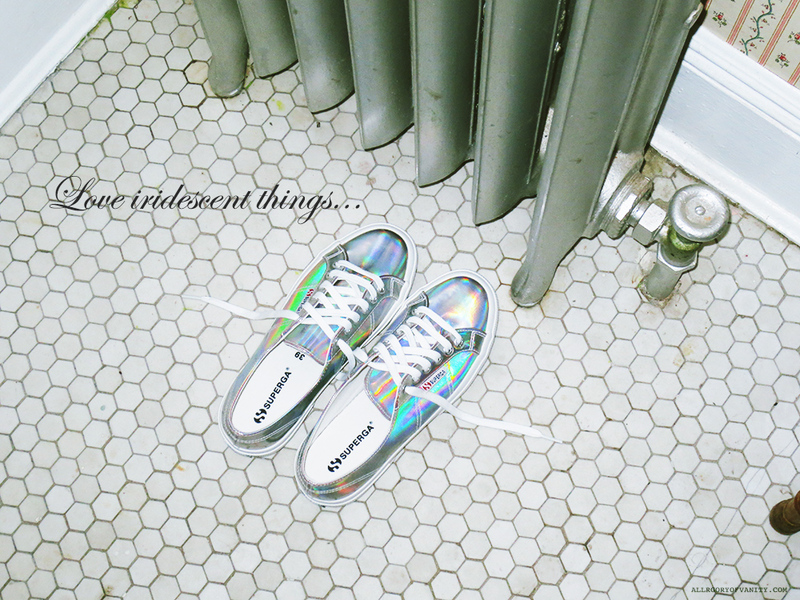 Browsing through pages of department store websites every now and then has its perks... such as coming across these iridescent Superga sneakers and making what could be called an "impulse purchase," but without the regret afterwards.